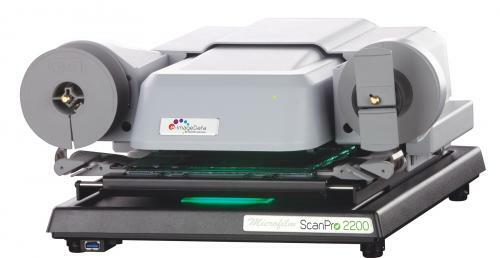 ​The ScanPro® 2200 is the best value, lowest-cost microfilm scanner on the market today. It comes with all the features you need to work with your microfilm. And, at under $5,000, you can afford it. With the ScanPro 2200, you don’t have to sacrifice functionality for price. The 2200 has the same robust design as the ScanPro 2200 Plus and the ScanPro 3000, and is built for the rigors of public use, but has a considerably lower price. If you are looking for a microfilm scanner and don’t need the automatic, special features found on the ScanPro 2200 Plus and ScanPro 3000, the ScanPro 2200 microfilm scanner is what you are looking for. “What is particularly impressive about the use of the ScanPro 2200 is that, through proper use of its many software options, images can be created from the most illegible (to the naked eye) of product in a format that is much enhanced in comparison to the original product."